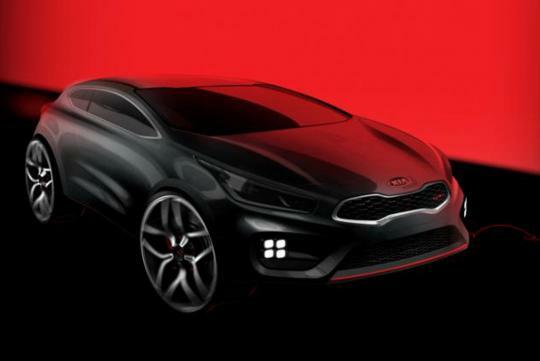 Kia has released a teaser sketch of the Kia Pro_cee'd GT, a high performance variant of the 2013 Pro_cee'd hatchback which will arrive in European showrooms in the second half of 2013. Although the illustration shows a coupe body style, five-door hatchback and estate versions are reported to be in kia�s pipeline as well. 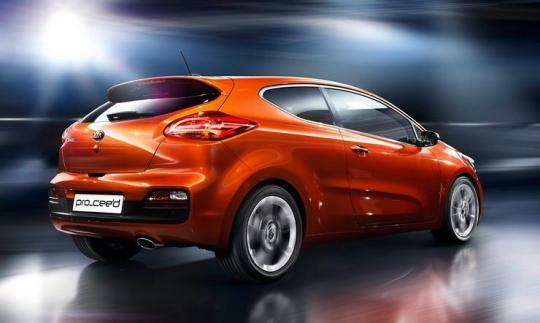 The Pro_cee�d made its world debut at the 2012 Paris Motor Show. The Pro_cee'd GT will be powered by a 1.6-litre turbocharged GDI four-cylinder engine linked to a six-speed manual transmission. The forced-fed lump is rumoured to generate as much as 200bhp. Given that the US-market Hyundai Veloster Turbo is already producing 201bhp, this should not come as a surprise. 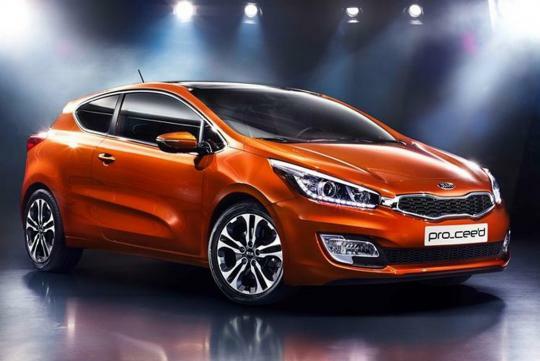 The teaser image of the Pro_cee'd GT shows a low-slung profile with an aggressive front bumper. The oversized wheels is expected be toned down in the production version. The Pro_ceed�d itself is already a handsome looking hatch.  The GT version should be outstanding and further strengthen Kia�s image in the European market.